Quick Jump to: 2018 2017 2016 2015 2014 2013 2012 2011 2010 2009 2008 2007 2006 presentations. Other Areas of Interest (Social Networks, Professional Links, etc) view Laura on: , , and (click on the appropriate logo or links). View Laura on: (see citations here), (see citations here), (here), (See Laura S Lorenz or Lorenz LS) listings, (See Laura S Lorenz or Lorenz LS) library listings, Laura S Lorenz, - Brandeis. For more information on any of the papers, presentations, lectures, journal articles, Op-Ed pieces below please contact Laura at: laura@lslorenz.com, or use our Online Contact form (here). Please include the article of interest in the subject line along with any questions, interests, etc. Some files on this page are in PDF format, download a copy of Adobe Reader if you don't have it by clicking here: . Lorenz, LS, Warfield, ME, Gittell, JH, Naim, H, Bishop, C, Raede, FS, O’Neil-Pirozzi, TM, Janik, C and Demore-Taber, M. (Under peer review). Moving from person-centered to relationship-centered care: Testing innovative interventions. Kim, H., Lorenz, LS, Naim, H, Sadoun, M, Noonan, P and Shepard, D. (Under peer review). ‘If a tree falls’: Measuring outcomes and economic value of recreation for community-dwelling adults with chronic moderate-to-severe acquired brain injury. Charrette, A, Sullivan K, Kucharski-Howard, J, Seed, S, Lorenz, LS. (Under peer review). Physical therapy and pharmacy interprofessional education in the context of a university pro bono physical therapy setting. 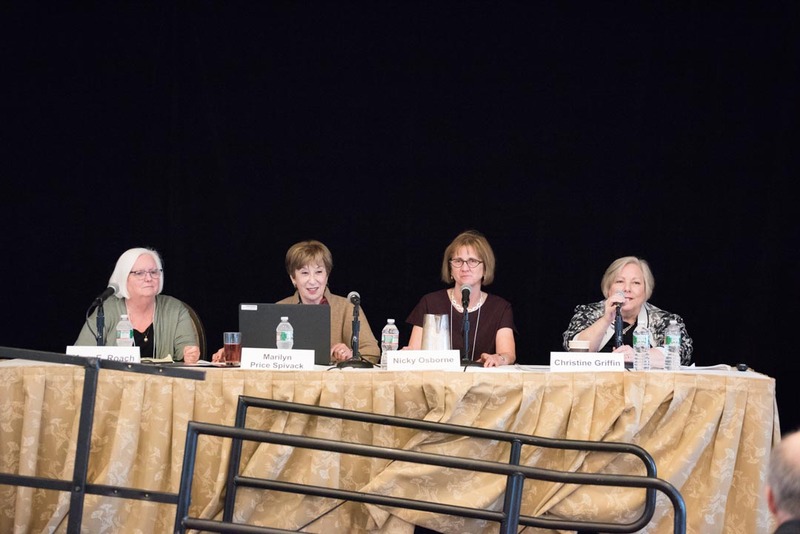 Laura S.Lorenz Ph.D, M.Ed., Ann L.Charrette D.P.T.Therese M.O'Neil-Pirozzi Sc.D., C.C.C.-S.L.P, Julia M.Doucett B.A, JeffreyFong PharmD. Healthy body, healthy mind: A mixed methods study of outcomes, barriers and supports for exercise by people who have chronic moderate-to-severe acquired brain injury. Disability and Health Journal Volume 11, Issue 1, January 2018, Pages 70-78, doi: dx.doi.org/10.1016/j.dhjo.2017.08.005. Few people with chronic moderate-to-severe brain injury are following recommended physical activity guidelines. Investigate effects of planned, systematic physical activity while cultivating social and emotional well-being of people with chronic moderate-to-severe brain injury. Moderate-to-intensive physical activity would be associated with improvements in impairment and activity limitation measures (endurance, mobility, gait speed) immediately post-intervention and six weeks later (study week 12). The intervention was a single group pre-/post-intervention study with 14 people with chronic moderate-to-severe brain injury who live in brain injury group homes and exercised 60–90 min, 3 days per week for 6 weeks at a maximum heart rate of 50–80%. Pre-post measures (administered weeks 0, 6 and 12) were the 6 Minute Walk Test, High-level Mobility Assessment Tool and 10 Meter Walk Test. The qualitative component used a brief survey and semi-structured interview guide with participants, family members, and staff. Following program completion, post-intervention group changes were noted on all outcome measures and greater than minimal detectable change for people with brain injury. Three transitioned from low to high ambulatory status and maintained this change at 12 weeks. During interviews, participants agreed the program was stimulating. More than eighty percent liked working out in a group and felt better being active. Program impact included physical, cognitive and social/emotional aspects. Social aspects (group format, trainers) were highly motivating and supported by residents, family, and staff. Investments in transportation and recruiting and training interns to assist participants are critical to program sustainability and expansion. Warfield, ME, Lorenz, LS, Naim, H, Bishop, CE. (2017). Moving from person-centered to relationship-centered care in the community: Testing innovative interventions. RCRC Research Webinar, December 7. Naim, H, Lorenz, LS, Warfield, ME, Raede, FS, Bishop, CE. (2017). Moving from person-centered to relationship-centered care in the community: Testing innovative interventions. 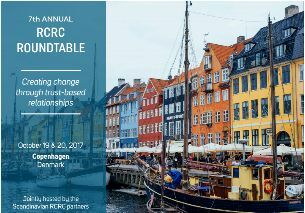 7th Annual RCRC Roundtable, Copenhagen, October 19-20, 2017. A participatory group process (Photovoice) involving photography, discussion, writing and exhibits. Analysis methods included participatory selection of photos and captions for exhibit, group deliberation on categorization of exhibit photos by community integration domain, and a critical appraisal by participants of the study’s guiding theoretical frame. After a brief review of this study and the Photovoice method, participants will work with photos and captions created by people with acquired brain injury to gain hands-on experience with the power of photographs, reflection, writing and exhibits to understand lives, communicate perspectives, raise awareness among stakeholders, and challenge dominant paradigms. Charrette, AL, Lorenz, LS, Fong, J, O'Neil-Pirozzi, T, Demore-Taber, M. 2017. Outcomes, supports and barriers related to intensive exercise participation for adults with chronic moderate to severe acquired brain injury. Oral presentation. 2017 World Congress, International Brain Injury Association, New Orleans: March 29 - April 1. Lorenz, LS, Noonan PJ, and O’Neil-Pirozzi, TM. (2017). Total health for chronic moderate-to-severe brain injury: Maximizing function and quality of life through community-based physical, cognitive and social programming. 36th Annual Brain Injury Conference, Brain Injury Association of Massachusetts, Marlborough, MA, March 30. Gallagher DM, Hirschhorn LR, Lorenz LS, Piya P. Developing a Community of Practice for HIV Care: Supporting Knowledge Translation in a Regional Training Initiative. The Journal of Continuing Education in the Health Professions (JCEHP) February 2017;37(1):27-36. doi: 10.1097/CEH.0000000000000141. Ensuring knowledgeable, skilled HIV providers is challenged by rapid advances in the field, diversity of patients and providers, and the need to retain experienced providers while training new providers and supporting translation of new knowledge to practice. New England AIDS Education and Training Center (NEAETC) provides a range of educational modalities to HIV providers in six states. This 2013 to 2014 mixed-methods study found that since 2010 NEAETC evolved educational modalities to a greater focus on active learning (case discussion, clinical consultation) and decreased didactic training by half (18-9%). Tailored approaches (based on local priorities) resulted in improved provider-reported capacity, peer learning, and support, contributing to a community of practice for HIV care. For more information about this article please click here: The Journal of Continuing Education in the Health Professions (JCEHP) - Article and PDF. Demore-Taber, M and Lorenz, L. (Panel Organizers). (2016). Nuts and Bolts of Practice-Based Evidence Research: Experiences from the Field. Annual Conference, Brain Injury Association of Massachusetts, Marlborough, MA, March 24. Lorenz LS and Ramakrishna, R. (2016). Seeing, listening, and measuring: A student-faculty visual and mixed methods research collaboration to understand community integration of older adults with brain injury. “My Day Job: Politics and Pedagogy in Academia, 2016 Annual Meeting, Eastern Sociological Society, Boston, MA, March 18. Lorenz LS and Ramakrishna, R. (2016). Seeing, listening, and measuring: A student-faculty visual and mixed methods research collaboration to understand community integration of older adults with brain injury. “My Day Job: Politics and Pedagogy in Academia", 2016 86th Annual Meeting, Eastern Sociological Society, Boston Park Plaza, Boston, MA, March 18. Background and purpose: Effects of high-intensity exercise on endurance, mobility and gait speed of adults with chronic moderate-to-severe acquired brain injury (ABI) were investigated. It was hypothesized that intensive exercise would be associated with improvements in impairment and activity limitation measures. Participants: Fourteen adults with chronic ABI in supported independent living who could stand with minimal or no assist and walk with or without ambulation device were studied. Eight presented with low ambulatory status. Methods: This was a single group pre- and post-intervention study. Participants received a 6-week exercise intervention for 60–90 minutes, 3 days/week assisted by personal trainers under physical therapist supervision. Measures (6MWT, HiMAT and 10MWT) were collected at baseline, post-intervention and 6 weeks later. Repeated measures T-test and Wilcoxon Signed Ranks test were used. Results: Post-intervention improvements were achieved on average on all three measures, greater than minimal detectable change (MDC) for this population. Three participants transitioned from low-to-high ambulatory status and maintained the change 6 weeks later. Discussion and conclusion: People with chronic ABI can improve endurance, demonstrate the ability to do advanced gait and improve ambulatory status with 6 weeks of intensive exercise. Challenges to sustainability of exercise programmes for this population remain.... Informa Healthcare: Brain Injury, Taylor & Francis. Brain Injury is the official research journal of the International Brain Injury Association (IBIA). - Contesting Health Policy: Rethinking Brain Injury Rehabilitation, Brown Bag Lunch & Discussion with Dr Laura Lorenz THURSDAY, APRIL 14th (12:15pm-1:30pm) ROOM LA 004, SCHOOL OF SOCIAL WORK BUILDING Salem State University, Salem Ma. In this interactive and visual presentation, Dr. Lorenz will describe why she cares about brain injury, and the brain injury epidemiology and policy landscape in the United States. She will challenge outdated rehabilitation paradigms and describe the consistent use of outcome measures to evaluate brain injury function and outcomes over time. Dr. Lorenz will show some brain injury survivor photographs and captions, developed for participatory research projects, to develop a shared understanding of the experience of living with brain injury. She will briefly describe Supportive Living Inc, its Brain Injury Wellness Center, and the internship opportunities available there... See more about this informative talk by viewing the flier below, email h_colbert@salemstate.edu with questions. O’Neil-Pirozzi, TM, Lorenz, LS, Demore-Taber, M, Samayoa, S. (September 2015). There will be some changes made: A survivor perspective on post-acquired brain injury residential transition. Primary objective: Brain injury survivors experience many transitions post-injury and it is important that they experience these in the most supportive and integrative ways possible. This study provided a group of chronic brain injury survivors the opportunity to share their insights and experience of residential transition and to suggest strategies to help maximize the transition experience and outcomes... Informa Healthcare: Brain Injury, Taylor & Francis. Brain Injury is the official research journal of the International Brain Injury Association (IBIA). Primary objective: Brain injury survivors experience many transitions post-injury and it is important that they experience these in the most supportive and integrative ways possible. This study provided a group of chronic brain injury survivors the opportunity to share their insights and experience of residential transition and to suggest strategies to help maximize the transition experience and outcomes. Research design: This study used a qualitative design that consisted of semi-structured interviews. Methods and procedures: Twenty-one adults with chronic acquired brain injury residing in community-based supported group houses answered a series of scripted questions. Interviews were recorded and participant statements were transcribed and coded according to prospectively developed transition themes. Main outcomes and results: Participants discussed positive and negative insights and experiences regarding residential transitions. Themes of balance between support and independence, life purpose and transition to more or less structure were frequently addressed. Participants suggested caregiver-targeted strategies to facilitate successful transitions before, during and after a move. Conclusions: The insights and suggestions shared by this group of chronic acquired brain injury survivors add to already existing knowledge of post-injury residential transitions and strategies professional caregivers may use to maximize the ease and success of the survivor's transitional experience. For more information about this article please click here: Informa Healthcare Brain Injury - Article Link & PDF (T&F Login may be Required). - Lorenz, LS, Katz, Gabrielle, (2015, October) The issue brief prepared for this health policy forum evaluates the state of the continuum of care for severe acquired brain injuries in the Commonwealth by describing the stages of the continuum of care, from access to emergency and acute rehabilitation care, to post-acute care and community services and supports. Gaps and disparities in access across the continuum as well as areas of strength will be described. Brain injury costs and how those costs are spent will be examined. Best policy and practice examples from across the country will be described. Findings and recommendations are informed by insights from interviews with brain injury stakeholders, the research literature, and published reports. 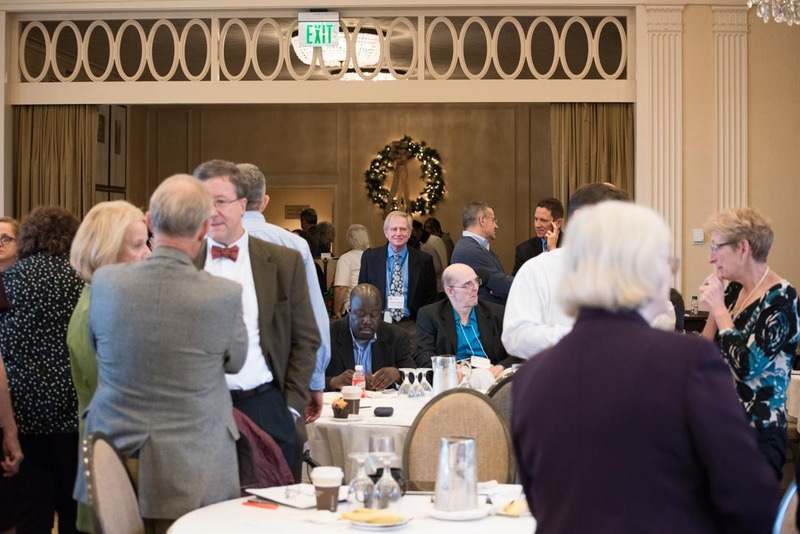 The forum took place on December 10, 2015, 8:30 to 12:30 at the Omni Parker House in Boston. 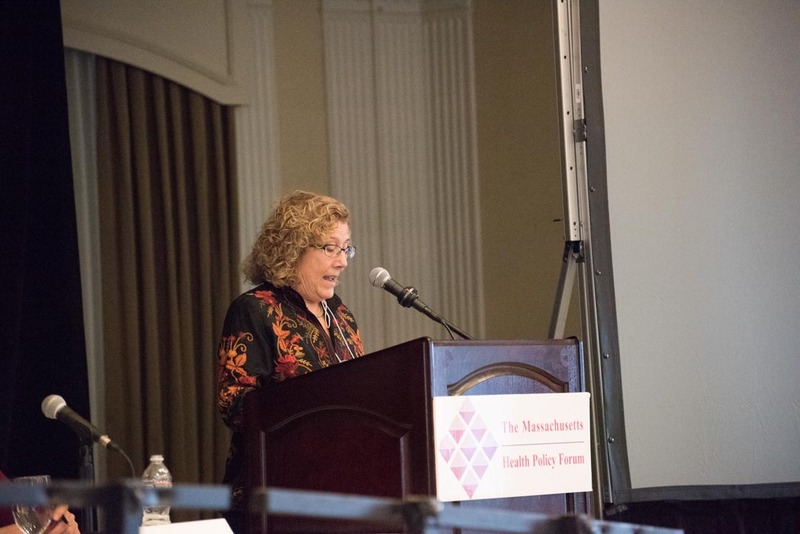 Laura is first author on this issue brief for the Massachusetts Health Policy Forum, Heller School, Brandeis University. For a more detailed insightful and informative view of this Issue Brief please click here and be transferred to the Current Projects page. The chapters are framed in terms of the relevant methodological issues involved in the research, bringing in substantive findings to illustrate the fruits of the methods. In doing so, the book covers a range of physical, sensory, and cognitive impairments...** Click Here for expanded details and information about this book on our book page. ACRM - Charrette, AL, Lorenz, LS, Fong, J, O'Neil-Pirozzi, T, Demore-Taber, M. and Lamson, KS, (2015, October) Impact of Intensive Exercise on Physical Function of Adults with Chronic-Moderate-to-Severe Brain Injury. Poster presentation. American Congress of Rehabilitation Medicine (ACRM) 92nd Annual Conference Link - Progress in Rehabilitation Research, October 25th-30th 2015, Hilton Anatole, Dallas, Texas. Poster. Gallagher, D, Hirschhorn, L, Lorenz, L, and Priyatam, P. (2015, May). Crossing the Know-Do Gap: Continuing Education for Health Professionals Providing HIV/AIDS care. Webinar presentation for the AIDS Education and Training Centers, Health Research and Services Administration (HRSA). Lorenz, LS, Sanders, RR, and O’Neil-Pirozzi, T. (2015, March). Talking with Pictures: Using PhotoVoice to make a difference for yourself and others. Oral Presentation. 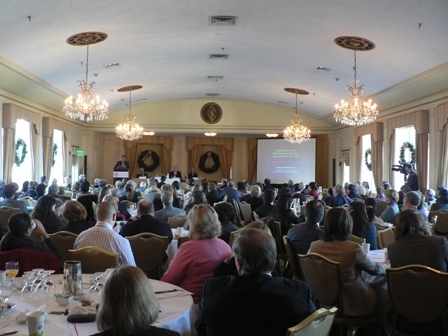 34th Annual Brain Injury Conference, Brain Injury Association of Massachusetts, March 26, 2015 from 7 a.m. to 4:30 p.m. at the Best Western Royal Hotel and Plaza in Marlborough, MA. This Supportive Living Inc research project was supported by a grant from the Dana Home Foundation. Dr Laura will be presenting Contesting Health Policy: Rethinking Brain Injury Rehabilitation to the Global Youth Summit at Brandeis University on (Tuesday Evening, June 23rd 2015). The Future of Medicine - 'Doc Talks' are an annual feature of an exciting, highly competitive summer program for high school students that drew hundreds of applications from across the country. Students will participate in interactive lectures by Brandeis faculty, conduct site visits at hospitals and medical schools, and develop their own answers to medical and health challenges and opportunities for a culminating symposium. Description of Presentation: The adult brain’s capacity for recovery from injury is now seen as dynamic, with formation of new cells playing a role in recovery of and compensation for lost function. Yet rehabilitation prospects are limited for the more than 5 million individuals in the U.S. living with disabilities from traumatic brain injury, or any injury to the brain from a blow or other outside force. This presentation provides a brief review of brain injury epidemiology, rehabilitation policies, and the different entities contesting them in the United States; and proposes a view of community-based rehabilitation for chronic brain injury that is grounded in clinical research and reflected in photographs and captions created by adults with brain injury during a participatory research project to investigate their lived experience. The presentation concludes with a call to incorporate evidence from “real world” experience into policy development, closing the community integration gap for individuals with brain injury, and supporting brain fitness (emotional, social, cognitive, and physical) for all. Delegates learn from resident faculty of esteemed professors, scholars who are actively engaged with the scientific concepts and policy developments that are shaping the field of 21st century medicine and health care. Additionally, they have the opportunity to network with the nation's top medical professionals, as well as with their own dynamic peers, throughout the Summit. For more information about the Global Youth Summit on the Future of Medicine program please click here. Authors Larson MJ, Mohr BA, Lorenz LS, Grayton C, and Williams TV. (2014). General and Specialist Health Care Utilization in Military Children of Army Service Members who are deployed, chapter 6. In S. M. Wadsworth & D. Riggs (Eds. ), Risk and resilience in U.S. military families (Vol. 2), Chapter 6 (pp 87-110). New York, NY: Springer. ISBN: 9781461487111 click here for info. Authors Kolb, B. and Lorenz, LS. (2014). Chapter 6: Let’s see: Participatory visual methods in practice. In Imaginative inquiry: Innovative Approaches to Interdisciplinary Research, C. Fogel, El Quinlan, and A. Quinlan (Eds), pp 79-92. Palo Alto: Academica Press. ISBN: 9781936320431 click here for more information. Lorenz, Laura S. (2006, November-Present). Photovoice: Speaking with pictures. Guest lecturer for Visual Literacy Course, University of Massachusetts Boston, MA. Professor Domenic Screnci, Octber 2014. Graduate INSDSG-608 Information Design and Visual Literacy. Dr Laura presents Contesting Health Policy: Rethinking Brain Injury Rehabilitation to the Global Youth Summit at Brandeis University on (Tuesday Evening, June 24th 2014). The Future of Medicine - 'Doc Talks' are an annual feature of an exciting, highly competitive summer program for high school students that drew hundreds of applications from across the country. Students will participate in interactive lectures by Brandeis faculty, conduct site visits at hospitals and medical schools, and develop their own answers to medical and health challenges and opportunities for a culminating symposium. Publications Author Lorenz, LS. (2014). Photovoice in practice: Ensuring safety and encouraging action. In Qualitative Research for the Social Sciences, M. Lichtman (Ed), Part-II The Qualitative Research Process Chapter 7, pp 173-178. Thousand Oaks: Sage Publications, Inc. ISBN: 9781412998642 (SAGE) click here or here for more information. Charrette, AL, Lorenz, LS, Fong, J, Lamson, KS, O'Neil-Pirozzi, T, and Demore-Taber, M. Effects of an intensive exercise program on fitness and function for people with long term brain injury. Oral presentation. 33rd Annual Brain Injury Conference, Brain Injury Association of Massachusetts, March 27, 2014 from 7 a.m. to 4:30 p.m. at the Best Western Royal Hotel and Plaza in Marlborough, MA. Lorenz, L.S. (2012, December). Guest lecture on photovoice and other alternative visual methods as ways to engage and address issues with persons and groups on the margin. For Professor Laurie Nsiah-Jefferson. The Heller School doctoral program, Brandeis University, December 5, 2013. Lorenz, Laura S. (2006, November-Present). Photovoice: Speaking with pictures. Guest lecturer for Visual Literacy Course, University of Massachusetts Boston, MA. Professor Domenic Screnci, Octber 2013. Graduate INSDSG-608 Information Design and Visual Literacy. Larson, MJ, Lorenz, LS, and Mohr, BA. General and specialist health care utilization in military children of Army service members who are deployed. For the panel “The social construction of veterans with mental health issues,” 63rd Annual Meeting 2013, The Society for the Study of Social Problems (SSSP), New York City, August 9-11, 2013. Lorenz, LS. (2013, August) Changing attitudes towards brain injury through community-based, non-formal education. For the panel “Borders, boundaries and barriers: A critical dialogue on disability.” 63rd Annual Meeting 2013, The Society for the Study of Social Problems (SSSP), New York City, August 9-11, 2013. Dr Laura will be presenting Contesting Health Policy: Toward a vision of community-based rehabilitation for brain injury to the NEW Global Youth Summit at Brandeis University Tuesday Evening, June 25th 2013 on the Future of Medicine: (175 participants), part of an exciting, highly competitive summer program for high school students that drew hundreds of applications from across the country. Students will participate in interactive lectures by Brandeis faculty, conduct site visits at hospitals and medical schools, and develop their own answers to medical and health challenges and opportunities for a culminating symposium. Lorenz, Laura S. (2013, June). Brain Injury X-Posed: The Survivor’s View. A book talk sponsored by Global Health, Public Health Program, College of Education and Health Sciences, Touro University California. June 6th, 2013. Author and social scientist Laura Lorenz shared evocative visual portrayals of life with brain injury for three adults living in eastern Massachusetts, reviewed brain injury epidemiology, symptoms, and policies, and suggest ways in which the stories presented contest current rehabilitation policies and suggest new, community-based policy paradigms and directions. Lorenz, Laura S. (2013, March). Transitional Life Experiences of the Long-term Brain Injury Survivor: A Qualitative Study to Understand Survivors’ Perspectives Sindi Samayoa, MS, CRC, Senior Director of Quality Management, Advocates, Inc.; Laura Lorenz, PhD, MEd, CBIS, Senior Research Associate & Lecturer, Brandeis University; Therese O’Neil Pirozzi, ScD, Professor at Northeastern University; Michelle Demore-Taber, ScD, CBIS, Director of Brain Injury Services, Advocates, Inc. 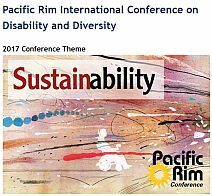 This workshop will discuss results from a qualitative research study which attempted to give voice to the long-term brain injury survivor who had a transitional experience moving from a more restrictive living setting to a fully integrated, independent living model of housing with an individually-driven model of support services. Presentation, 32nd Annual Conference, Brain Injury Association of Massachusetts, March 28th from 7 a.m. to 4:30 p.m. at the Best Western Royal Hotel and Plaza in Marlborough, MA. Valentine's Day Special ! (Feb 14th 2013) Laura was a guest on two radio programs -- at 3 pm and 10 pm EST. The 3 pm show is focused on brain injury, the 10 pm show on Brain Injury Radio is more general. The radio host for both shows is 'FantasticFrank', a brain injury survivor along with his fantastic team -- see his website here: www.iamfantasticfrank.com, and the Brain Injury Radio Network here. Come listen and to join the conversation by calling in! Tell friends and colleagues who might be interested also! Hope you can join the fun! Call in with a question if you feel like it! As part of the ongoing course offerings at the Osher Lifelong Learning Institute Laura led a four week course at Tufts Brookhaven in Lexington Campus as SGL (Study Group Leader) in Jan 16th, 23rd, 30th, and Feb 6th 2013. Lorenz, L.S. (2012). Using Participatory Visual Methods in Social Science Research. Lunchtime Research Talk for Sustainable International Development MA Advanced Study and Joint Degree Students, The Heller School for Social Policy & Management, Brandeis University, October 15, 2012. Lorenz, Laura S. (2006, November-Present). Photovoice: Speaking with pictures. Guest lecturer for Visual Literacy Course, University of Massachusetts Boston, MA. Professor Domenic Screnci, Octber 2012. Graduate INSDSG-608 Information Design and Visual Literacy. Understanding Brain Injury: Neuroscience, Rehabilitation Policy, and Lived Experience. On Monday, September 24th 6 pm in the Lurias, Hassenfeld Conference Center, Dr. Lorenz presents on brain injury rehabilitation policy on a panel on the brain and brain injury sponsored by the Brandeis Neuroscience Club. A pdf of her presentation is provided here. Fellow presenters are Professor Arthur Wingfield, Nancy Lurie Marks Professor of Neuroscience and of the Volen National Center for Complex Systems, and Peggi Sue Iebba, a former respiratory therapist and researcher now living with mild traumatic brain injury. 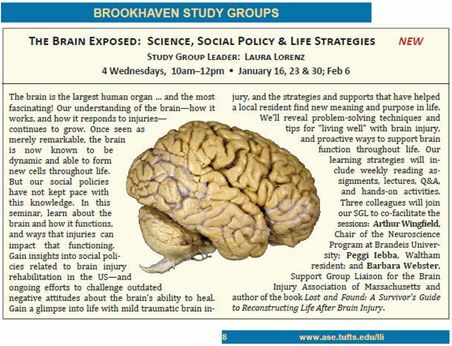 - Brandeis Hoot Newpaper (Nov 9th 2012) Neuroscience presentation brings miracle story to Brandeis. Article Link Online. Lorenz, L.S. (2012) Contesting Health Policy: Toward a utopian vision of community-based rehabilitation for brain injury. For the Section on Science, Knowledge and Technology Paper session: ’Neuro’: Interventions, Entanglements, Futures.” American Sociological Association (ASA) 2012 Annual Meeting, August 17-20th Denver Colorado. Lorenz, L.S. (2012) Enacting emotional engagement with healing from brain injury: Taking photographs and writing text. For the panel “Disability, Voice and Power.” The Society for the Study of Social Problems (SSSP), 2012 Annual Meeting, August 16-18th Denver Colorado. Publications Author Laura Lorenz (2012). A Way into Empathy: A 'Case' of Photo-Elicitation in Illness Research. In SAGE Visual Methods. Four-Volume Set, Hardcover, J. Hughes (Ed. ), (Vol. IV), Chapter 55, (pp 84-100) London: SAGE Publications. July 2012, ISBN: 978-1446241028. Click here to read more information about the SAGE Visual Methods book and A Way into Empathy: A 'Case' of Photo-Elicitation in Illness Research chapter by Laura Lorenz. Lorenz, L.S. Participatory visual methods: Speaking with pictures, Brown Bag Talk, National Louis University, Chicago Campus, June 27, 2012. Lorenz, L.S. (2012). Guest Lecture, WGST 4160 – Health and Gender, for Professor Mark Sherry. Talk title: Experience and Practice with Visual Illness Narratives: Examples of Brain Injury Survivors. University of Toledo, Women's and Gender Studies (WGST), March 26th 2012. Lorenz, L.S. (2012). Recovery stories: Shaping the policy image of addiction treatment. Oral presentation for the panel “Celebrating Elliot Mishler I: Performing Stories – Special Presidential Session.” 82nd Annual Meeting of the Eastern Sociological Society (ESS), Millennium Broadway Hotel, New York City, February 24th, 2012. Lorenz, L.S. (2012). Guest lecturer, HSSP 110A: Integrative Seminar on Health (Capstone Seminar) Spring 2012. Introduction to interviewing. The Heller School for Social Policy & Management, Brandeis University, February 6th 2012. Lorenz, L.S. Co-author, with with Mary Jo Larson Ph.D., and Mary Brolin PhD. (2012 January). Communications for Policy Advocacy: Lessons Learned from Closing the Addiction Treatment Gap (Final Report of Communications Evaluation). Brandeis University and Open Society Foundations. Lorenz, L.S. Co-Presenter with Mary Jo Larson Ph.D., and Mary Brolin PhD. Communications for advocacy: Using the concept of a policy image to change attitudes and policies related to addiction treatment. Poster presentation. 35th National Conference, Association for Medical Education in Research and Substance Abuse (AMERSA), Sheraton Crystal City Hotel, Arlington, VA. November 4th 2011. Note: The 2011 AMERSA Executive Board and Workshop Review Committee, has chosen Dr. Lorenz's workshop, Talking with Pictures: Concepts and Hands-on Experience, for the 2010 Best Workshop Award. The award will be presented during the Award Plenary Session of the 2011 AMERSA national meeting which will be held November 3-5 2011 at the Sheraton Crystal City Hotel, in Arlington, VA.
Lorenz, L.S. (2011). Using Participatory Visual Methods in Social Science Research. Lunchtime Lecture for Sustainable International Development MA Advanced Study and Joint Degree Students, The Heller School for Social Policy & Management, Brandeis University, October 24th 2011. Lorenz, L.S. (2011). PHOTOVOICE: Speaking with Pictures. Guest Lecturer, Informational Design and Visual Literacy, University of Massachusetts Boston, Instructional Design Program, Professor Domenic Screnci, October 20th 2011. Graduate INSDSG-608 Information Design and Visual Literacy. Lorenz, L.S. (2011). Using visual metaphors to communicate lived experience with an invisible injury. Oral paper. Addiction Health Services Research (AHSR) 2011 conference. Fairfax, VA: George Mason University, Mason Inn and Conference Center, October 4. Congratulations! Dr Laura S. Lorenz recent Special Problems Divisions election winner, elected division officer, Disabilities Co-Chair, 2011-2013 for the Society for the Study of Social Problems (SSSP). Laura has selected and organized a panel for the International Visual Sociology Association (IVSA) 2011 Conference, “Getting your hands dirty: Visual research methods as experiential learning” University of British Columbia, Vancouver, Canada, July 6th-8th 2011. ‘Hands-on or experiential learning is widely accepted in adult education, work, and community settings but can be a harder “sell” in academic research and educational environments. Many colleges and universities do not offer visual research methods courses that would provide opportunities for students to review the literature and build experience with and a rationale for using visual methods in academic research. In turn, studies proposing the use of visual methods, particularly participatory methods, can face challenges gaining approval from academic advisors, departments, and human subjects research review boards in institutions without proven visual research track records…’ see the abstract below to read more on what the panel will discuss. Congratulations! Dr Laura S. Lorenz and the panel presenters (Dr Douglas Harper - Duquesne University Pittsburg, PA. Alexis Mann Ph.D. ABD - Brandeis University, Waltham, MA. Dr Kim Rasmussen - Roskilde University, Roskilde, Denmark. 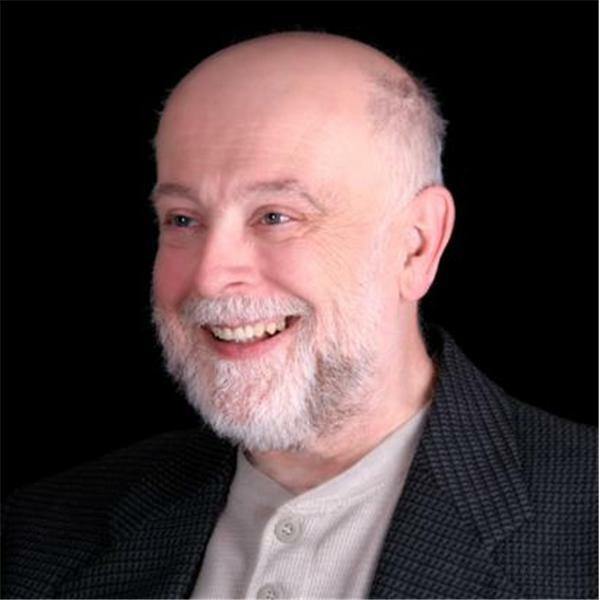 Stephen Svenson Ph.D. ABD - University of Waterloo, Ontario, CA. and Dr Theresa R. White California State University, Northridge, CA.) on a exceptionally well received session and series of talks. A Small Miracle By Evan Sweeney. Bartlett, S., Lorenz, L., Rankin, T., Elias, E., Mustafa, R. and K. Weider. (2011, February). Traumatic brain injury: Looking back, looking forward. Exceptional Parent Magazine. TBI-ROC, Part Eight, a: pp 30-32. Lorenz, Laura S. (2011, Online February 18th). A Way Into Empathy: A 'Case' of Photo-elicitation in Illness Research. Health: An Interdisciplinary Journal for the Social Study of Health, Illness and Medicine, 15, 3, May 2011, pp 259-276 DOI 10.1177/1363459310397976, Special Number on ‘Another way of knowing: art, disease, and illness experience.’ Guest Editors, Alan Radley and Susan Bell. Available online from JoVE - Journal of Visualized Experiments, Date Published: 2/16/2011, Issue 48 e2342; doi: 10.3791/2342 (As of September 8th 2016 over 20,277 viewings). This video and paper illustrates an innovative visual approach (photovoice or photo-elicitation) to achieve fair process in clinical care for patients living with chronic health conditions, illuminate gaps in clinical knowledge, forge better therapeutic relationships, and identify patient-centered goals and possibilities for healing. Lorenz, L. S., Chilingerian, J. A. Using Visual and Narrative Methods to Achieve Fair Process in Clinical Care. J. Vis. Exp. (48), e2342, doi:10.3791/2342 (2011). To see this insightful video, view the accompanying presentation, papers, etc, please click here or the thumbnails above. Lorenz, Laura S. (2010, December). Visual metaphors of living with brain injury: Exploring and communicating lived experience with an invisible injury. Visual Studies, 25(3), pp 210-223 DOI: 10.1080/1472586X.2010.523273, Special Issue on Visual Research Methods and Issues of Voice, Guest Editors Wendy Luttrell and Richard Chalfen. Lorenz, Laura S. (2010). Basic Concepts and Principles in the Care of Torture Survivors with Traumatic Head Injury: Family and Patient Support: New Approaches to Fostering Dialogue and Hope (Part 3 of 3) available online here. Mental Health Webinar Series, The Center for Victims of Torture, Office of Refugee Resettlement, Administration for Children and Families, US Department of Health and Human Services, November 17. Brain Injury Survivors traces individual journeys from diagnosis through rehabilitation, and evokes the reality of living with brain injury. The book also tackles the systemic problems undercutting the quality of current medical and social support, and encourages a fresh approach to the patient-provider relationship for people with disabilities... ** Click here for expanded details and information about this book on our book page. Lorenz, Laura S. (2010, November). Talking with Pictures: Concepts and Hands-on Experience: A Workshop. Association for Medical Education and Research in Substance Abuse (AMERSA), 2010 AMERSA National Conference, Washington, DC. November 4-6. 2010 Best Workshop Award - click here for more information. Lorenz, Laura S. (2006, November-Present). Photovoice: Speaking with pictures. Guest lecturer for Visual Literacy Course, University of Massachusetts Boston, MA. Professor Domenic Screnci, November 18, 2010. Graduate INSDSG-608 Information Design and Visual Literacy. Lorenz, Laura S., Larson, M.J., and Brolin, M. (2010, October). Using Holistic and Integrated Communications Strategies to Expand Addiction Treatment: Implications and Lessons Learned, Oral Paper, Addiction Health Services Research (AHSR) Conference 2010, Lexington, Kentucky, October 25-27, 2010. Lorenz, Laura S. (2010, July). Talking with Pictures: Fostering Dialogue and Hope in Health and Community, Webinar/Seminar, Omaha, Nebraska (July 7th 2010). Sponsored by the College of Public Health, and presented at the UNMC University of Nebraska Medical Center, Omaha, NE. Contact & Moderator Phyllis Nsiah-Kumi, M.D. Assistant Professor, Internal Medicine Division of General Medicine-Academic. Description: In a two-hour webinar/seminar open to the public, Senior Research Associate Dr Laura S. Lorenz of the Institute for Behavioral Health at The Heller School for Social Policy, Brandeis University explores the foundations of photovoice and share photos from three photovoice projects she has led in the US and South Africa since 2001--with teenaged girls, youth living with HIV/AIDS, and adult brain injury survivors. This presentation will result in a solid understanding of this popular approach to participatory health and community research and its potential applications, and a list of resources for further learning. For I.E - Simply Click on the link above. A case study of a former executive chef 14 years after treatment for a slow-growing childhood tumor. Acquired brain injury (ABI) is one example of the chronic conditions that people of varying socioeconomic status must bear. Concerns with identity and self are endemic to surviving brain injury. For this study, a brain tumour survivor injured 17 years earlier, took photographs of her life with brain injury and discussed them with other brain injury survivors and the author. Narrative analysis methods were used to analyze her photographs and interview, and generate a visual illness narrative with four photographs and their accompanying interview text. Her visual illness narrative reveals discovery of a post-brain injury identity whose multiplicity of self-definitions includes chef, brain injury survivor, gardener, and self-advocate. Study findings reveal that identity issues of importance to brain injury survivors can include (1) learning the new, post-brain injury self, and (2) building a new identity whose multiple, partial identities include (a) the new brain injured self, (b) an old self (with its residual strengths), and (c) a self who does meaningful activities (e.g. parenting, partnering, art, gardening, volunteering, helping others, or paid work). Study results... To see more information please click (here). Laura S Lorenz Co-author with Miwako Hosoda PhD, and Peggi Robart. (2010). Photovoice: Exhibition of disability experiences using photos and narratives. Japanese Journal of Clinical Occupational Therapy (Rinsyo Sagyo Ryoho). (7)3, pp 254-257. 'The wars in Iraq and Afghanistan have drawn more attention to the plight of brain-injury survivors, as has the NFL's recent acknowledgment that some of its players are suffering neurological consequences from repeated concussions. But our health policies and treatment practices have yet to catch up to the staggering toll of this complex and insidious condition...' Read the rest of the article here Philadelphia Inquirer (updated link). Lorenz, Laura S. (2010, March). Using photovoice to elicit lived experience with brain injury and raise awareness among survivors, providers, and the public. Poster Presentation. Eighth World Congress on Brain Injury, International Brain Injury Association (IBIA), Washington, DC, March 10-14, 2010. + Lorenz, Laura S. (2009, October). Brain Injury X-Posed: The Survivor’s View. Poster Presentation, 2009 ACRM-ASNR Joint Educational Conference, Building the Evidence Base for Rehabilitation Interventions: From Research to Clinical Care, October 7 - 11, 2009, Denver, Colorado. Lorenz, Laura S. (2006, November-Present). Photovoice: Speaking with pictures. Guest lecturer for Visual Literacy Course, University of Massachusetts Boston, MA. Professor Domenic Screnci, November 18, 2009. Graduate INSDSG-608 Information Design and Visual Literacy. Objectives: To show how providing cameras to patients and community residents can be effective at involving the public in generating understanding of consumer, community, and health system problems and strengths. Background: Health-care institutions and systems may seek to include consumer perspectives on health and health care yet be challenged to involve the most vulnerable sectors, be they persons with disabilities or persons with low socio-economic status living in societies where a top-down approach to policy is the norm... See more about this article by clicking (here). Lorenz, Laura S. (2009, August). Generating Patient Accounts of Quality Using Photography and Voice, Visual Presentation, 2009 Academy of Management Meeting, August 7-11, Chicago, Illinois (with Jon Chilingerian). Lorenz, Laura S. (2009, July). A Way into Empathy: Using Visual and narrative Methods to See Life from a Patient’s Perspective. Oral Presentation, 6th Biennial Conference of the International Society of Critical Health Psychology (ISCHP), July 8-11, 2009, Lausanne, Switzerland. Lorenz, Laura S. (2009, July). Experience and practice with visual illness narratives: Examples from brain injury survivors. Invited Lecture (pdf), Visual Studies in Social Sciences, Faculty of Social Sciences, University of Vienna, Austria, July 7, 2009. Contact & Moderator Dr. Bettina Kolb ( of the Univ Vienna, and Oikiodrom.org ). Lorenz, Laura S. (2009, June). Panelist, Health Care Reform and Patient-Centered Care: Using Qualitative and Mixed Methods to Understand and Engage Patients and the Public, Oral Presentation, 26th Annual Research Meeting, AcademyHealth, Chicago, Illinois, June 28-30, 2009. Lorenz, Laura S. (2009, June). Generating Patient Accounts of Quality using Photography & Voice, Poster Presentation, Organization Category. 26th Annual Research Meeting, AcademyHealth, Chicago, Illinois, June 28-30, 2009 (with Jon Chilingerian). Lorenz, Laura S. (2009, April). Panelist, Human Subjects and Ethics, Participatory Action Research Symposium, Brandeis University, April 2-3, 2009. Lorenz, Laura S. (2009, April). Reaching multiple audiences: Process and product in participatory visual methods with brain injury survivors. Midwest Sociology Society, April 2009. Lorenz, Laura S. (2009, February). Brain Injury X-Posed: Seeing Life with Brain Injury through Survivor’s Eyes at WETA's Brainline, Arlington, VA, February 4, 2009. Laura will share her experiences using participatory visual research methods with brain injury survivors in Massachusetts. Lorenz, Laura S. (2008, December). Oral Presentation PhotoVoice Speaking with Pictures: Sociology 315: Seeing Social Life - Professor Susan Bell PhD, Bowdoin College, Brunswick, ME, December 4, 2008. Dr Lorenz shares her process of personal and professional growth and decision-making through four participatory visual research projects in seven years. She will share a few photos from PhotoVoice projects in Lowell, MA; Mdantsane Township in South Africa; and TBI Survivors Group Framingham, MA. In conclusion, she will suggest some learning takeaways and policy and practice implications related to doing participatory visual research with youth, community residents, and persons living with chronic conditions. Lorenz, Laura S. & Sanders, Richard R. (2008, December). Oral Presentation A Way into Empathy: Seeing Life from a Brain Injury Patient's Perspective, Spaulding Rehabilitation Hospital Network, Boston, MA, December 3, 2008. Lorenz, Laura S. (2008, November). Brain Injury X-posed: TBI and our Vets, The Newton Free Library and the Brain Injury Association of Massachusetts present an evening public lecture. Peggi Sue Robart, Dr Laura S. Lorenz, Stephen Kinney, Sandra Topalian, and ABC Good Morning America Contributor Lee Woodruff (Wife of ABC News Correspondent Bob Woodruff) present a program on Traumatic Brain Injury: Brain Injury X-posed: TBI and our Vets, at the Newton Free Library, Newton, MA, November 3, 2008 at 6:30pm. Visit the PhotoVoice Brain Injury X-Posed - The Survivors View Exhibit on view in the first floor display cases of the library for the month of November for insight of Brain Injury through the eyes of survivors. Lorenz, Laura S. (2006, November-Present). Photovoice: Speaking with pictures. Guest lecturer for Visual Literacy Course, University of Massachusetts Boston, MA. Professor Domenic Screnci, November 18, 2008. Graduate INSDSG-608 Information Design and Visual Literacy. Lorenz, Laura S. (2008, May). Subjectivities of Narrative and Interaction: Learning from Writing about Acquired Brain Injury. Presented at the Fourth International Congress of Qualitative Inquiry (ICQI). Urbana-Champaign, IL: University of Illinois, May 14-17. Lorenz, Laura S. (2008, May). Living with brain injury: The survivor’s view. Presented at the Fourth International Congress of Qualitative Inquiry (ICQI). Urbana-Champaign, IL: University of Illinois, May 14-17. Lorenz, Laura S. (2008, April). Using Fair Process to Cross the Quality and Health Care Chasm: Eliciting the Perspective of Brain Injury Survivors. Brandeis Graduate Interdisciplinary Conference Metamorphoses: An Interdisciplinary Investigation of Social Change and Transformation, Brandeis University, Waltham, MA, April 5. Lorenz, Laura S. (2007, November). Crossing the quality and health care chasm for rehabilitation from brain injury: Applying fair process to policy development, Poster presentation, 135th Annual Meeting and Exposition, American Public Health Association (APHA), Washington, DC, November 3-7, 2007. Lorenz, Laura S. (2007, November). X-Posing lived experience with brain injury: A photovoice project with long-term survivors, Poster presentation, 135th Annual Meeting and Exposition, American Public Health Association (APHA), Washington, DC, November 3-7, 2007. Lorenz, Laura S. (2006, November-Present). Photovoice: Speaking with pictures. Guest lecturer for Visual Literacy Course, University of Massachusetts Boston, MA. Professor Domenic Screnci, November 18, 2007. Graduate INSDSG-608 Information Design and Visual Literacy. Lorenz, Laura S. (2007, August). Using fair process to cross the quality and health care chasm: Eliciting the perspective of brain injury survivors. Paper presentation, The Society for the Study of Social Problems (SSSP), 57th Annual Meeting, New York, NY, August 10-12, 2007. Lorenz, Laura S. (2007, July). Using narrative analysis methods to gain insight into living with brain injury. Oral paper. Fifth Biennial Conference of the International Society of Critical Health Psychology (ISCHP), Beverly, MA, July 18-21. Lorenz. L. S., Webster, B., and Foley, L. (2007, July). Making visible the invisible: Using photovoice to elicit the perspective of brain injury survivors. Poster. Fifth Biennial Conference of the International Society of Critical Health Psychology (ISCHP), Beverly, MA, July 18-21. Lorenz, L.S. (2007, June). Using fair process to cross the quality and healthcare chasm: Eliciting the perspective of traumatic brain injury survivors. 13th Annual NRSA Trainees Research Conference, US Department of Health and Human Services, Agency for Healthcare Research and Quality (AHRQ), Orlando, FL. ation Lorenz, L.S. (2007, June). Making visible the invisible: Using action research to understand living with brain injury. Oral and poster presentation, Annual Research Meeting 2007, AcademyHealth, Orlando, FL. Lorenz, L.S. 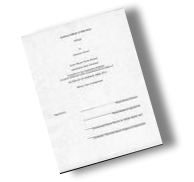 (2007, June) Living with traumatic brain injury: A narrative analysis of a survivor’s photographs and interview. Poster Presentation, Annual Research Meeting 2007, AcademyHealth, Orlando, FL. Lorenz, Laura S. (2007, May). Making visible the invisible: Using photography and narrative to understand living with brain injury. Oral presentation to, Rehabilitation Hospital of The Pacific, Honolulu, HI, May 18, 2007. Lorenz, Laura S. (2007, April). Making Visible the Invisible: Using Participatory Action Research to Understand Living with Brain Injury. Presentation to the 13th Annual Midwest Qualitative Research Conference (MQRC), University of St. Thomas, School of Education, Minneapolis, MN, April 20-21, 2007. Lorenz, Laura S. (2007, March). Living with traumatic brain injury: Narrative analysis of a survivor’s photographs and interview. Poster Presentation, 26th Annual Conference, Brain Injury Association of Massachusetts, Marlborough, MA, March 22. Lorenz, Laura S. (2007, February). Living with Traumatic Brain Injury: A Narrative Analysis of a Survivor’s Photographs and Interview. Poster presented to the State-of-the-Science Symposium on Post-Acute Rehabilitation: Setting a Research Agenda and Developing an Evidence Base for Practice and Public Policy, Arlington, VA, February 12-13, Foundation for Physical Medicine & Rehabilitation (PM&R). Lorenz, Laura S. (2006, November-Present). Photovoice: Speaking with pictures. Guest lecturer for Visual Literacy Course, University of Massachusetts Boston, MA. Professor Domenic Screnci, November 18, 2006 to Present. Graduate INSDSG-608 Information Design and Visual Literacy. Lorenz, Laura S. (2006, November). Living with Traumatic Brain Injury: A Narrative Analysis of a Survivor’s Photographs and Interview. Poster Presented to the American Public Health Association (APHA) Annual Conference, Boston, MA. Lorenz, Laura S. (2006, September). Using Narrative Analysis of a Patient’s Photographs and Interview Text to Understand Living with Traumatic Brain Injury from the Patient’s Perspective. Paper presented to the European Sociological Association, Qualitative Methods Research Network, 3rd Mid-Term Conference, Advances in Qualitative Research Practice, Cardiff University, Wales, UK. 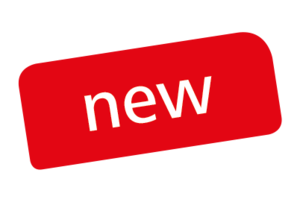 Download a copy of any of the proceeding files by right clicking on the filename (link) or file type icon adjacent to the filename and selecting 'Save Target As' or 'Save Link As' from the drop-down menu, or launch the file clicking on the filename (link) and save the file from within the appropriate application (Adobe Reader). for a complete list of publications, papers, and presentations she has done in the past.